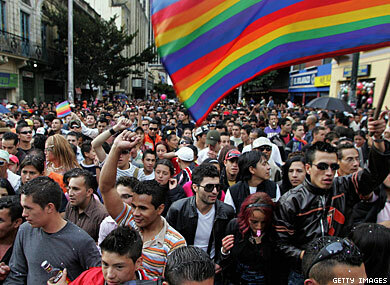 could have brought marriage equality to the South American country. Colombia's Constitutional Court voted 5-4 to dismiss the lawsuit, filed in September 2009, challenging current civil code that prohibits marriage equality, according to CNN. The request was for the government to remove the words "man and woman" from the code, but the court cited a lack of legal arguments to support taking the case. Columbia would have been the second country in South America to legalize marriage equality, following Argentina earlier this year.